It’s probably fair to say that having a child with a severe illness or disability is a parents worst nightmare. We wait anxiously at the 12 and 20 week scan for the radiographer to tell us all is well and count 10 little fingers and toes at birth. When people ask us ” Would you like a boy or a girl?”, we answer “We don’t mind as long as it is healthy”. But we all know not all babies are born healthy. Whether it is Cerebral Palsy from birth or Autism which develops later. Parents are faced with the reality that all is not what it seems and dreams and plans for the future might not eventuate. I have had the privilege of working with such children, prior to having my own children and reading my cousins recent blog brought back many of those memories. Liz is a paediatric physiotherapist and volunteering/working in Mongolia. 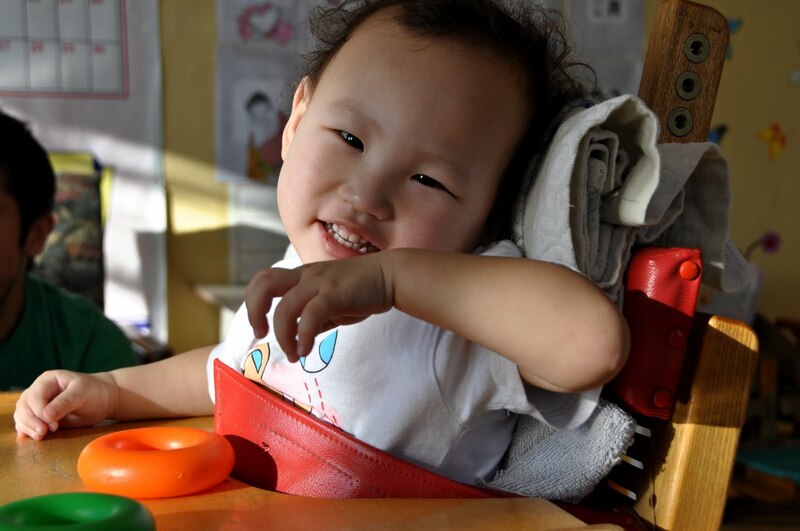 Many would say these children in Mongolia who have severe disabilities with little access to resources and equipment are privileged to have her come into their lives but you will find the privledge is all hers. I am privileged. In my line of work I get to have “joyful magical moments” (as my mum put it) every day. Working with children is the biggest privilege i have ever known in my life. Working with children with disabilities in a developing country is a bigger privilege. Today I went into Kindergarten Number 10 for children with special needs in Ulaanbaatar Mongolia. I spent a year working in the centre last year. It is the role that brought me to Mongolia in the first place. I met there the new volunteer from Australia. I reflected with him on when I was travelling in the Middle East in 2010. I had not wanted to go home to work but keep travelling with a more meaningful purpose. I recall sitting in an internet cafe in Damascus, Syria and finding the AYAD role in Mongolia. I applied the day I flew back into Australia, with hours to spare before the application deadline. The role seemed written for me and for my experience. The timing was perfect. I had already resigned and moved out of my house for other plans that had fallen through. Now I had an invitation to live in Mongolia. This child I photographed today is so sweet. The staff in the Kindergarten have not had the opportunities I have to understand how Cerebral Palsy effects children in order to implement strategies to enable them to participate in everyday life. In most capacities. The children they perceive to have the most cognitive ability receive the most therapy. Those that cannot move and express themselves, become more contracted and disabled by CP and move less and express themselves less. This little one has persistent reflexes that make it difficult for her to move her limbs voluntarily. Of course, with appropriate positioning and assistance she has the potential to use her hands. She is very bright. She understands the world well. She sits typically in this chair. It does not have a headrest. This combined with her disability, when sitting, her head extends backwards, and her arms are stuck in a reflex position. The head rest is missing. Or never arrived with the donated chair at all. With a rolled up towel today I could bring her head into a more appropriate position, which then meant her hands and arms could come forward onto the table and she could grasp the rings with assistance. I showed her how to bang them on the table to make a noise. She was delighted. This may have been the first time she has voluntarily made an effect/noise in her life. She is 2 years old. It would seem insignificant in most children’s lives. But today, Special. I wish all people could have such joyful, magical, moments everyday. Permission gained to use photos.